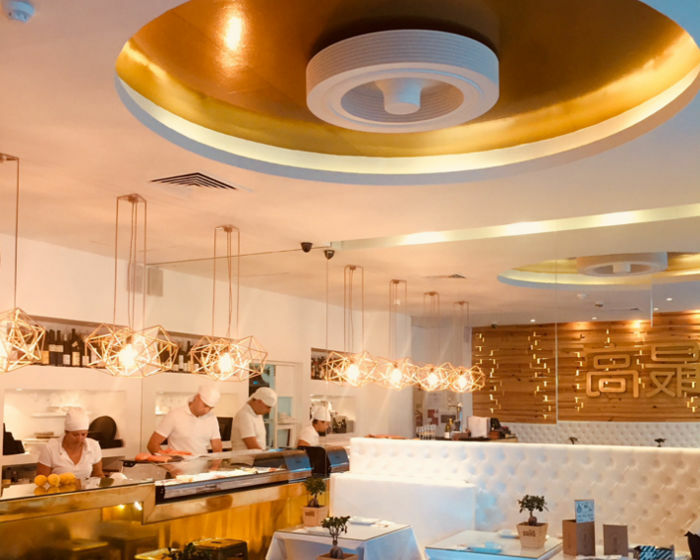 You are a professional in the reception of the public (catering, restaurant, holiday rentals...) and would like to equip your premises with a sleek, economical and silent ceiling fan? The Exhale fan was designed for use all year round. Thanks to its technology it operates alongside heating and air-conditioning appliances to increase their efficiency while reducing their workload and cost of running. 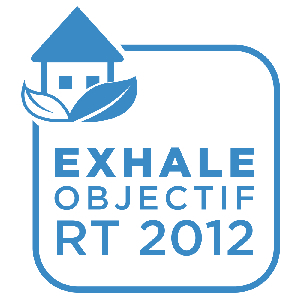 The Exhale fan meets the requirements of the French TR 2012 perfectly. The Exhale fan has an economical factor since it increases the efficiency of heating appliances by reducing their workload and cost of running throughout the year. The Exhale fan is an elegant object of decoration which is both useful and efficient. The sleek, spherical design, without any visual screws, of the Exhale fan fits in perfectly to the decoration of your premises. 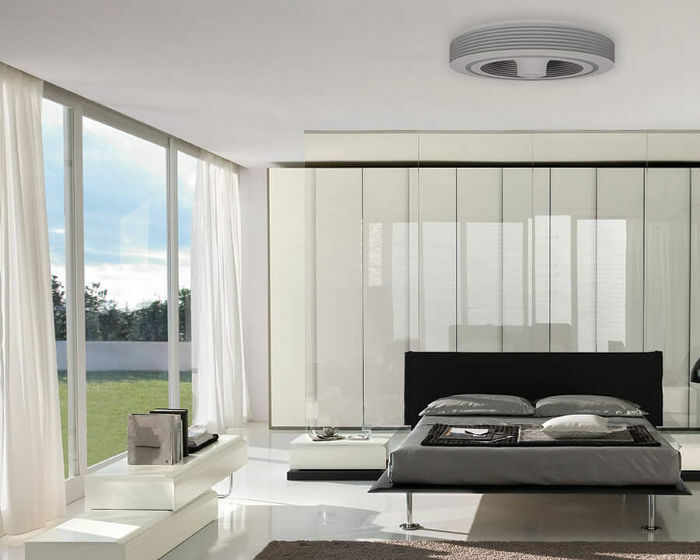 In all seasons, the Exhale fan maintains an ideal temperature in all 4 corners of a room up to 50m² and 6m in height by breaking up the thermal stratification (by displacing the warm air at the higher part of the room to the lower part). For rooms of a larger surface area, 2 fans spinning in opposite directions (figure of 8 effect between the 2 fans) in order to maintain a homogenous thermal regulation. 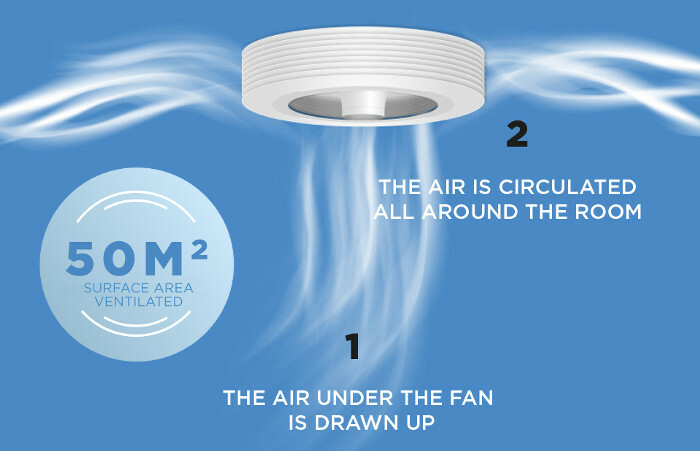 It is possible therefore to regulate the temperature in gigantic areas by multiplying the number of fans. The Exhale fan provides a hushed atmosphere, characteristic of the best hotels. Even at maximum speed, its sound level, between 40 and 45db, is practically inaudible. The Exhale fan embodies elegance. 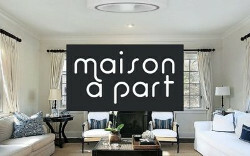 It spherical, sleek design, with no visual screws, will fit in perfectly with your refined decor. 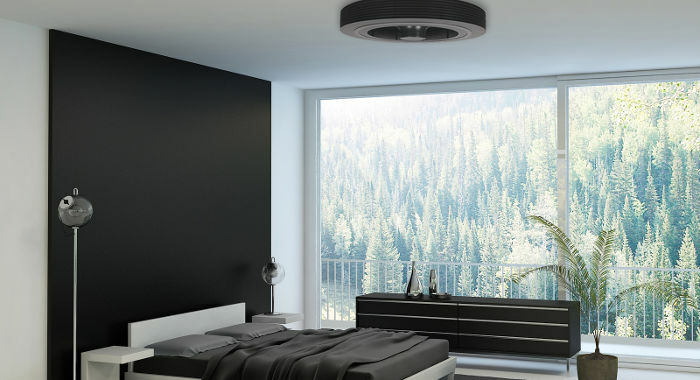 The Exhale fan is ecological and uses far less energy than a traditional air-conditioning unit. It will place you among the hotels renowned for their respect for the environment. Thanks to its high efficiency motor and its competitive design, the high speed air displacement reaches 2.97 m3 per minute (i.e. 2973 litres per minute). But over and above the technical characteristics, the real difference remains in the Vortex effect created. During use, the airflow increases resulting in the major effect ofstabilising the temperature in the room.